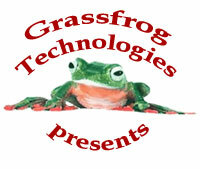 Grassfrog Technologies, LLC offers affordable web sites for small businesses. We have been providing quality web sites for home inspectors since 2004, and offer special support and services for members of the International Association of Certified Home Inspectors (InterNACHI). To learn more about our company, please visit www.grassfrog.com. Your home inspection web site can be a valuable source of business leads, provided that your customers can find it online. Our home inspection web sites are optimized for maximum search engine results, with streamlined code and built-in meta tags that you can edit to create page titles and meta tags specific to your area. Plus each web site comes with a built in content management system and an integrated links portal to make it easy for you to exchange links with other home inspector and real estate web sites. InterNACHI members - exchange links with other InterNACHI members. Click here to sign up (free). copyright © 2005-11 Grassfrog Technologies LLC. All rights reserved.